This Spring Season my skin has been suffering. I'm not a regular masker but whenever my skin asks up I pull out the big guns. 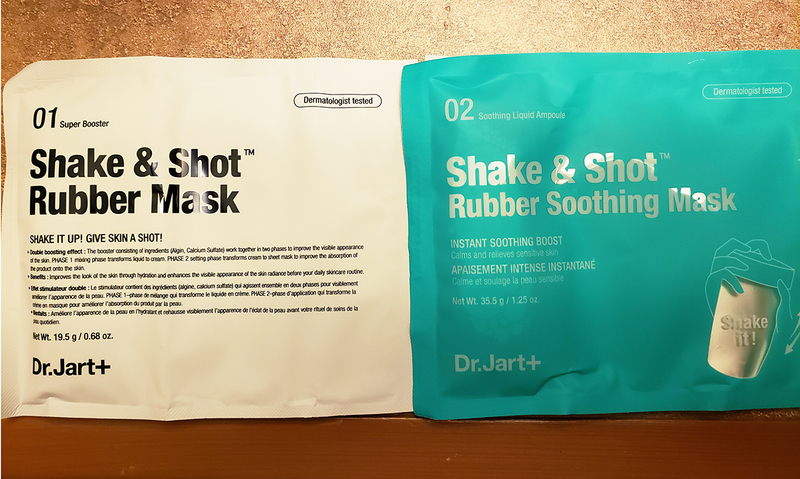 I was excited to try out the new Dr. Jart+ Shake and Shot Rubber Masks. The do it yourself mask was a brand new concept to me. Check out what I thought after the jump. The mask comes in this milkshake light container. It's definitely eye catching. The baby face top is a little weird but who am I to judge. 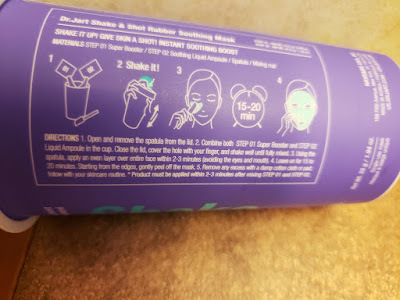 You'll see the package has instructions on it which you'll need to follow. Once you open the cup you'll see that it comes with two packages that need to be mixed. One solution is watery and the other is more like the consistency of coconut oil. 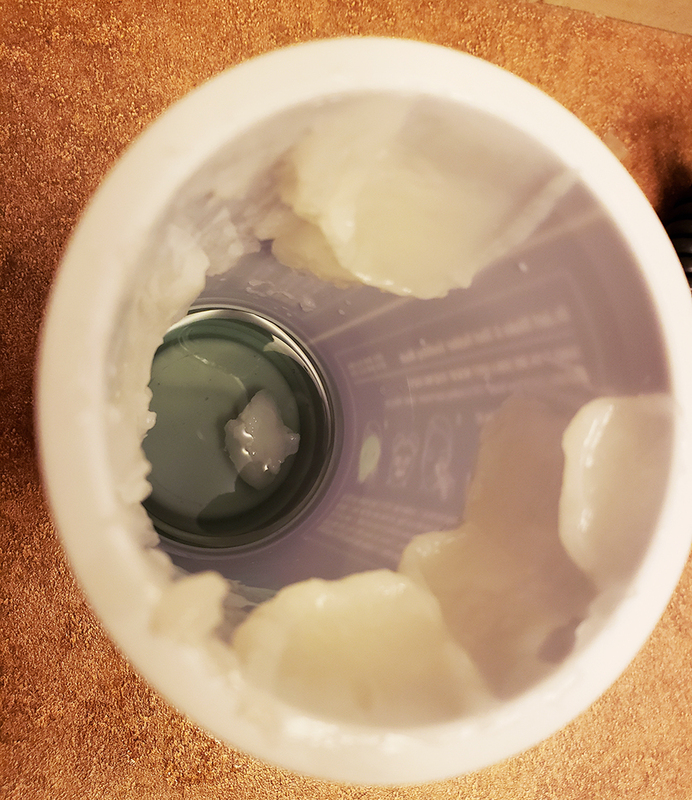 Place the top back on, shake and you get this new rubbery consistency. 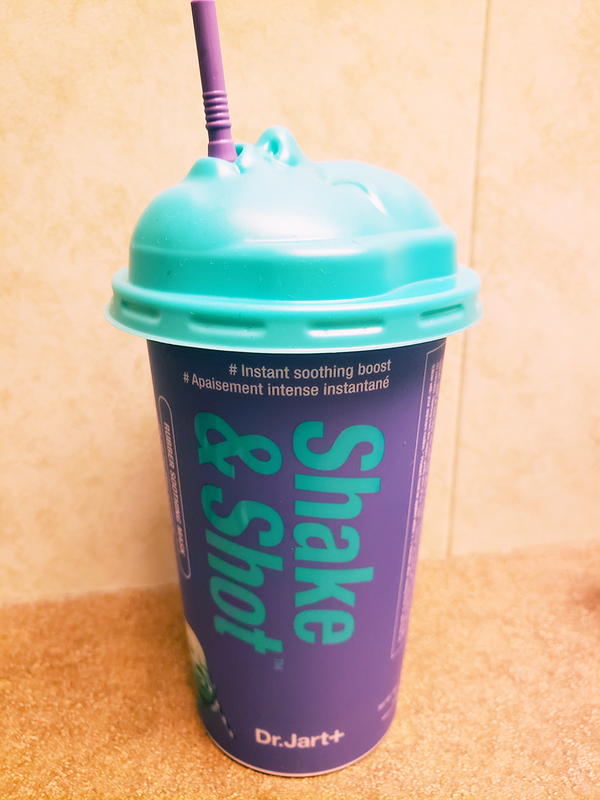 Use the "straw" which I actually a plastic spatula to spread this over your face. It's a little messy. You have to glob it on but it stays. I did this after a shower with my robe on. This is while I was on vacay getting ready for a formal night, perfect occasion to try out this mask. Wait about 20 minutes. 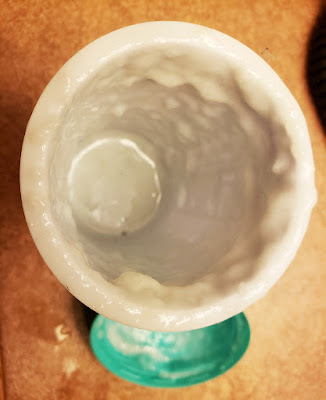 The mask hardness to a jelly silicone like consistency. I've never felt anything like it. 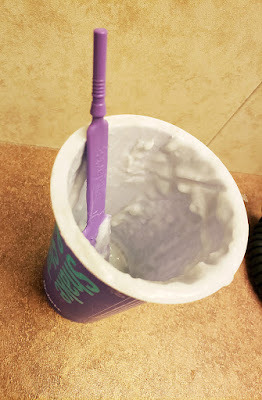 Peel it off and then wipe off the excess with a damp washcloth. The result was very soft, hydrated skin. This was the Soothing Mask and my skin felt calmer and restored after spending the day in the Sun. This product retails for $12 at Sephora. It's a little pricey but I think it's fun for a special once in a while treat. It was really fun to apply and I haven't seen anything like it on the market. Even my brother tried it and liked it. I totally would do this for a bachelorette party or girls night in. 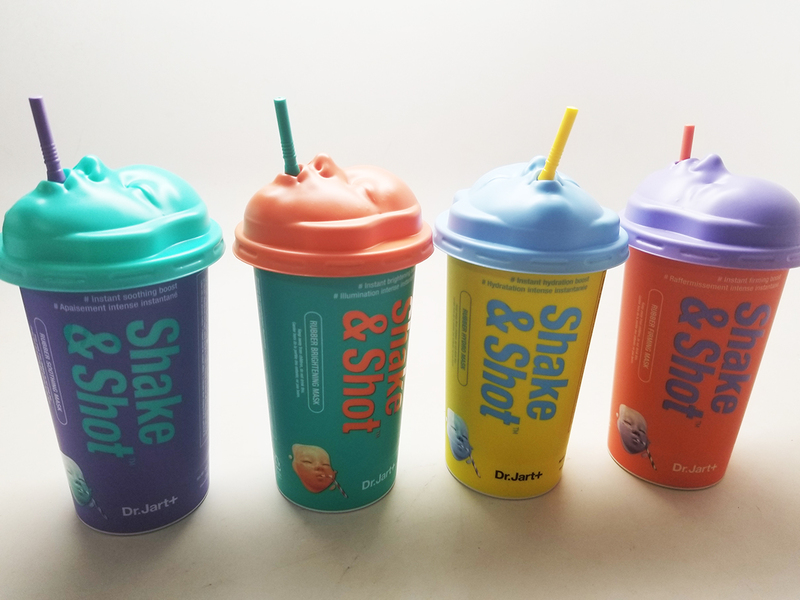 Have you tried the Shake and Shot Rubber Masks? Let me know in the comments below!